Find a room before you arrive. Does your friend have a spare room? Obviously, if you can organise your accommodation before you arrive, it will be a less stressful experience. The problem is, you would need a friend to find a room and confirm it is ok before you pay any money (more about that later). If possible, contact a friend or someone you know in Brighton. Ask them to help you find a room. They may even have a spare room in their house or know someone with a spare room. There could be a room you can share for a few weeks. Alternatively, there are some other possibilities. You could arrive in Brighton and stay in a hostel until you find a room. This way you can visit rooms and “view” them until you choose one and move in. 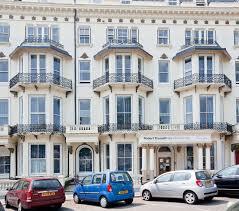 There are many good hostels in Brighton and Hove, from quite cheap to quite expensive. Perhaps a hostel is not for you. There are also many reasonably priced “Bed and Breakfast” and “Guest House” accommodation providers in Brighton and Hove. These are more expensive than a hostel, but a lot more private, comfortable and quiet. There is another option if you want to join and English language school to study English. You might want to book accommodation with a language school in Brighton or Hove. This usually means you would stay with a family who speak English. This could be a short term arrangement for 2 or 3 weeks to help you when you first arrive, or a longer stay. You could stay there and look for a room in Brighton. In a “homestay,” you will feel safe and secure and will have some meals with the family. You can improve your English. It is not the cheapest option but it is safe and comfortable. Furthermore, it is a good idea if you are planning to learn English and are feeling nervous about arriving in Brighton. Never pay for a room until you have seen it. Some people advertise rooms online that look fantastic, but in reality they are not so nice. Therefore, if the room looks great and is very cheap, and they are asking for a “Holding Deposit”, it is probably a scam. Never pay a “Holding Deposit”. Some people advertise rooms that you would be desperate to get, and you can reserve it now with a holding deposit. One small problem – the room does not exist and they just take your money and disappear. It happens. Also, just to prepare you, don’t be surprised if you decide you want a room and somebody else gets it first. Brighton is a fantastic city and a lot of people want to live here. Available rooms can be taken quite quickly because lots of people want to find a room. If you are still looking for a house or room, another possible option might be to attend one of the many social events that are organised for Brighton’s international community to meet new friends and practise English. Maybe someone there would have helpful information about finding a room in Brighton or Hove. Perhaps they have a friend with a spare room. These events are good fun and a great opportunity to practise your English. Of course, estate agents are another way to get a room in Brighton. There are lots of estate agents along every high street in Brighton. You can check for properties on their websites. Personally, I’m not a huge fan of estate agents. They can be quite expensive and are not always helpful (I’m sure there are exceptions). However, if there is a group of you hoping to share a house, it could be a good idea to see what is available. Also, using an estate agent should give you a slightly more secure tenancy with proper contracts etc. Whichever way you approach finding a room in Brighton, you might discover that the landlord, estate agent or even your friend is being unreasonable. This is unlucky. If you need free legal advice, the first place to visit is the Citizen’s Advice Bureau. Hopefully, this information is useful. Sometimes looking for a room can be a bit tiring and frustrating. Eventually you will find a room. Are you new to Brighton? If possible, ask a friend who is already here for help. Good luck everyone. Brighton is a fantastic choice! Was this blog post helpful? Please leave a comment. Thank you.